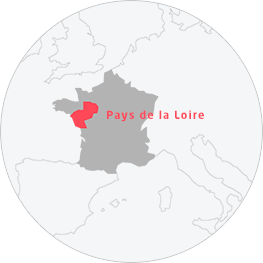 If there's one region where the bicycle is particularly important, it’s the Pays de la Loire. At the crossroads of three great cycling routes – La Loire à Vélo, La Vélodyssée and La Vélo Francette – there are over 2,800 km of dedicated cycle paths in the regions for tourists to enjoy getting around by bike. With friends, family or as a couple – for a weekend or a longer holiday – everyone can enjoy the beauty and diversity of the Loire countryside and take the time to savour new experiences... on two wheels! Explore the islands by bike!